I have lived in Minnesota for 16 years and consider it home. But I spent the first 18 years of my life in Kansas. There were obvious differences when I moved north. Kids in Minnesota typically learn to ice skate first, not dribble a basketball. The fresh catch of the day is walleye, not catfish. And Minnesota has a state fair that rivals not only the Kansas State Fair, but any other state fair in America. This isn’t about why I think the Minnesota State Fair is the best. This is about the differences that make what is fondly known as the The Great Minnesota Get Together unique to a non-native. Nearly 2 million people visit the state fair to look at the animals and perhaps stop by the Education Building, but they GO to the state fair to eat the food. It’s the first thing on everyone’s mind. Stand on a corner for a few minutes and you hear the same phrase again and again. “Where do you want to eat?” There are the staples: corn dog, cheese curds, Sweet Martha’s cookies. 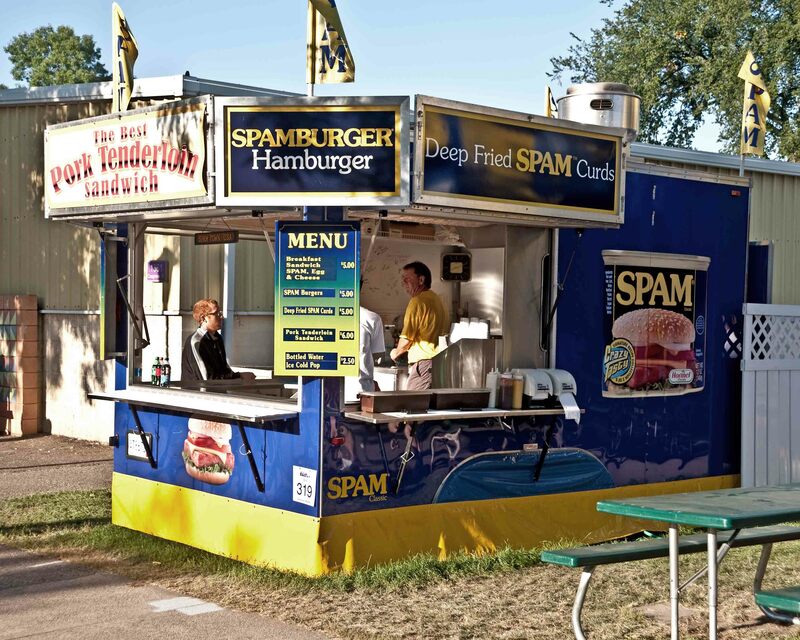 There are slightly more interesting items like alligator on a stick, deep fried bacon mashed potatoes, and SPAM curds. But there is another aspect of state fair eats that harkens back to the day when fair-goers needed a cheap hearty meal – the dining halls. Hamline Dining Hall is the oldest hall at the Minnesota State Fair, serving a whopping plate of food for 113 years. 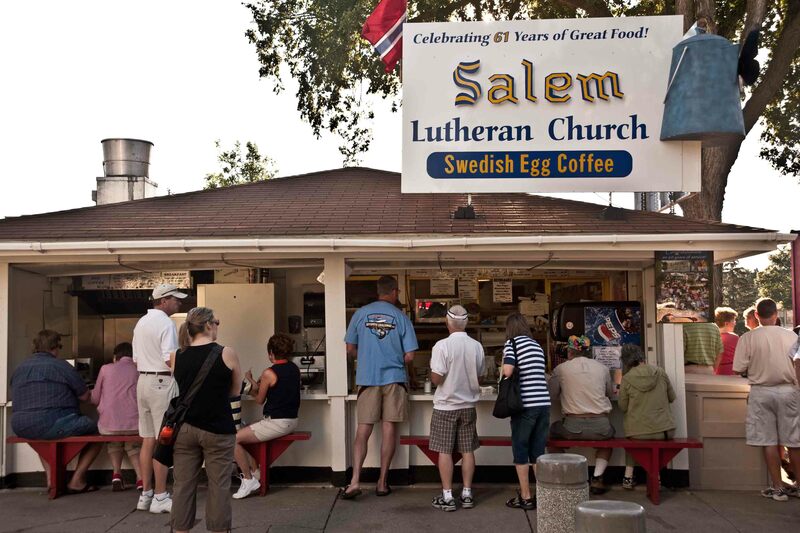 To me, one of the most notable is Salem Lutheran Dining Hall, which has been serving meals for 61 years. Every breakfast, lunch and dinner served is made from scratch, and the hall is known for its Swedish Egg Coffee. The most striking aspect of this dining hall to a Kansas girl is how regional it is. The Lutheran denomination as a whole runs in the majority compared to other religious branches in much of the Upper Midwest. A dining hall run by a Lutheran church might just be another feature to most Minnesotans, but is truly one of the unique few left in the nation. 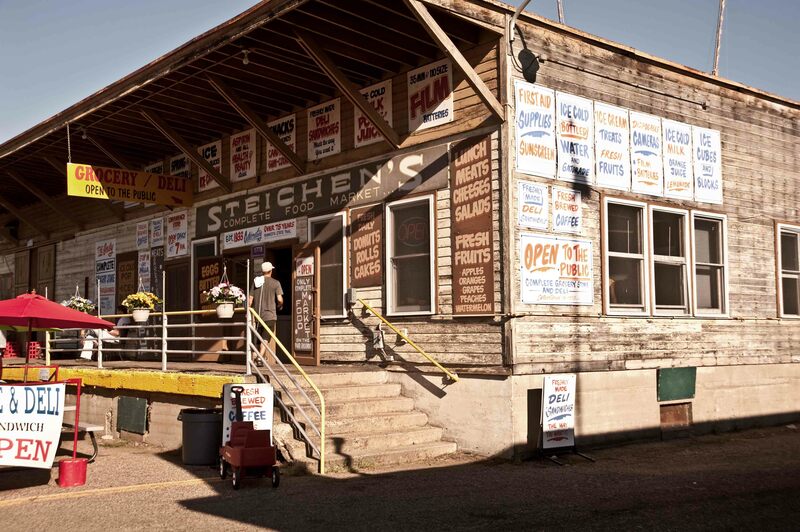 Wedged on a quiet street next to the Poultry Building is Steichen’s Grocery Store and Deli. A grocery store? At the fair? Yes. For many families who exhibit or show their animals, this is 12-days away from home. You can only eat so many deep-fried-whatever-on-a-stick. Steichen’s provides fresh breakfast and made-to-order deli sandwiches, beverages and other away-from-home staples like batteries and mouthwash. This marks the 78th year for Steichen’s at the fair, and while they installed a modern patio this year, the rest of the grocery store still has the original 1932 facade. The permanency of something like a grocery store on the grounds is a reminder that the Minnesota State Fair has been a very big deal for a very long time. 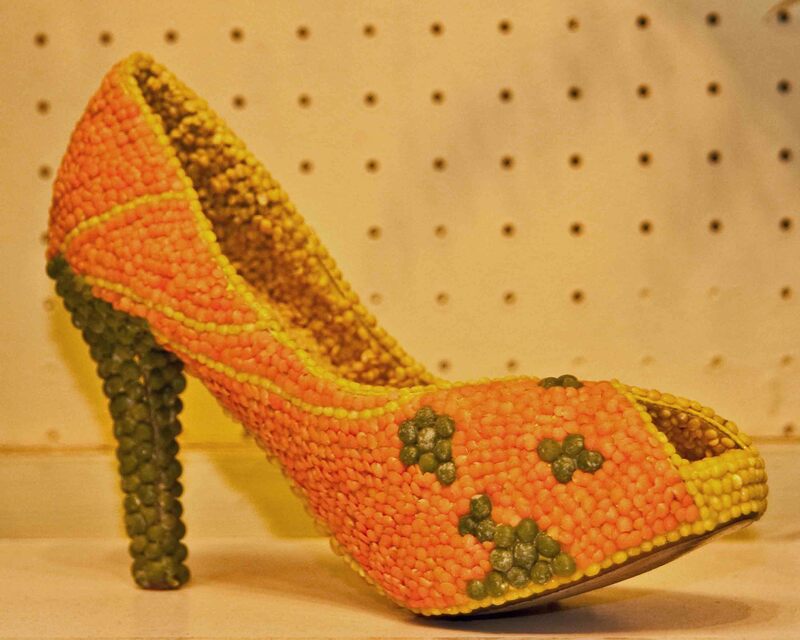 One of the more unusual competition categories at the fair is crop art, located in the Agriculture-Horticultural Building. Art must be made using seeds that are suitable for growing in Minnesota. Over the years the artwork has gotten more elaborate and many times very political, marking the varied history of Minnesota politics. From Hubert Humphrey to Jesse Ventura to Al Franken, Minnesotans take great pride not fitting into the status quo of the political arena, and they show that pride with some glue and soybeans. Since 1954 the Midwest Dairy Association has awarded a young woman from Minnesota a scholarship and the coveted title of Princess Kay of the Milky Way. For the next year she represents Minnesota dairy farmers as a goodwill ambassador. The best part about becoming Princess Kay? Getting your likeness carved into a 90 lbs. block of butter. 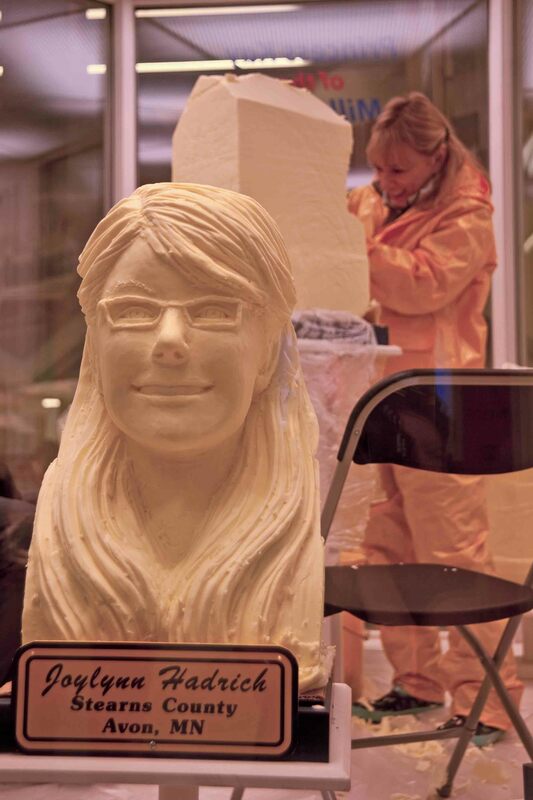 The butter heads, located in the Dairy Building, have been carved each year since 1965, one day at a time, while fair-goers watch. The process takes six to eight hours, and the same woman has been carving the heads for over 40 years. While this isn’t strictly a Minnesota tradition, the pride people take in being part of a once heavily farmed state is still evident. Texas might have the biggest state fair attendance (its 24 days, not 12) and Ohio might have the same Midway carnival with corn dogs, but no other state fair has the man in red Kangaroos. Every summer Garrison Keillor, typically dressed in a white linen suit and red Kangaroo tennis shoes, brings A Prairie Home Companion to the state fair. Broadcast on nearly 600 public radio stations each week, A Prairie Home Companion hosts its annual state fair show in the Grandstand, and is heard by millions of listeners. The state fair is a culmination of the kitsch Keillor jokes about every week on his show. Lutheran coffee? Check. Farmers and dairy cows? Check. Characters of every creed? Check. 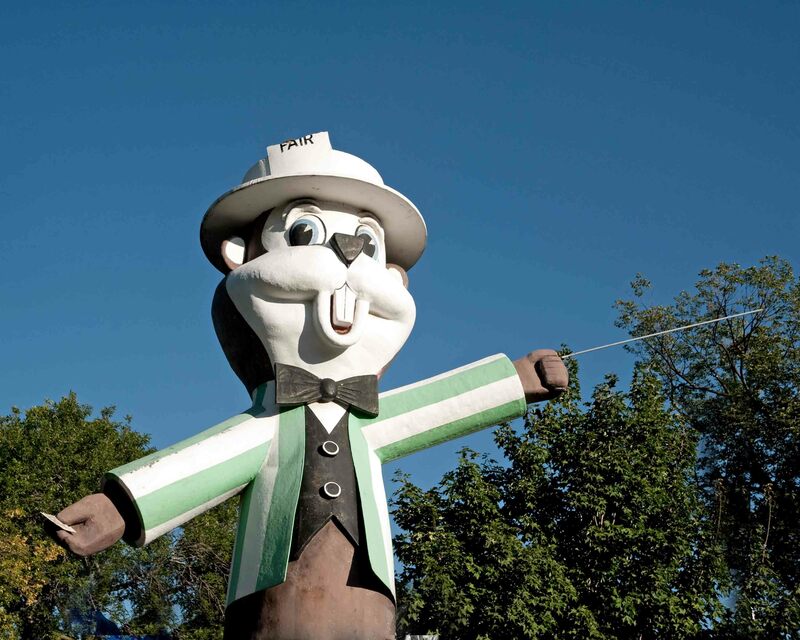 Whether it be one day or all twelve days, I believe the Minnesota State Fair encompasses what Keillor’s fictional Lake Wobegone is really like. The fair is a mass of people tied together by class and genetics, similar, yet distinctively different. All looking forward to the future, yet not afraid to look back, cherish what was, and take home a slice of Minnesota goodness. What do you think is really unique about the Minnesota State Fair, or any state fair you’ve visited? Would love to hear your commentary. 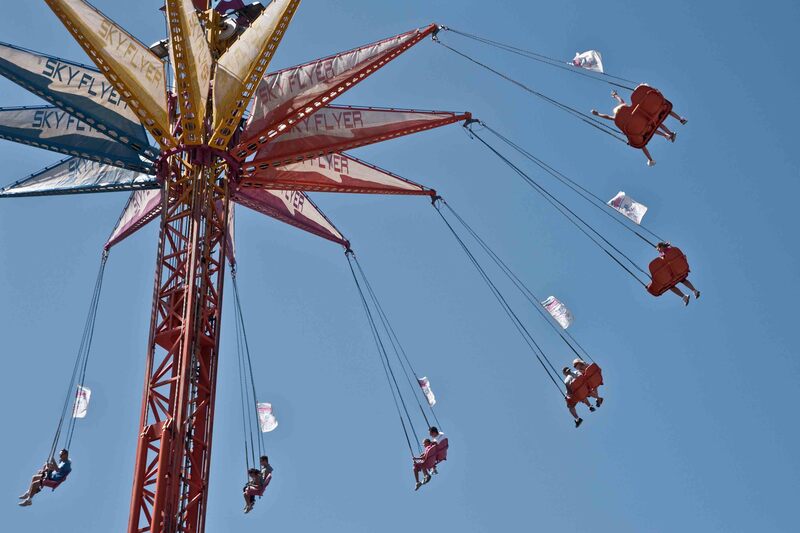 Read a New York Times reporter’s tale of state fair, homespun pleasure. This entry was posted in Travel and tagged A Prairie Home Companion, Butter Heads, Dining Hall, Garrison Keillor, Great Minnesota Get Together, Lake Wobegone, Minnesota State Fair, New York Times, On a Stick, Seed Art, Steichen's. Bookmark the permalink. I love these facts and tidbits … very interesting.